Whether you’re moving abroad or you’re in financial difficulty, there are a number of reasons why you might want to sell your home quickly. 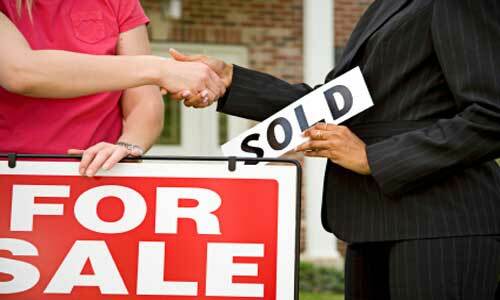 Take a look at our tips for selling your home as quickly as possible. One of the most important elements of selling your home is the exterior. The way your home looks as potential buyers approach it will affect their first impression. Before your home goes on the market, you should tidy up the outside. Trim the bushes, plant flowers, repaint the front door and sweep the path. Keep it looking good for any potential buyers. Never rely on a buyer’s imagination to see past the clutter and always make sure that your home is tidy and clean before each viewing. Ideally, since you’re moving anyway, you should start decluttering your possessions so in the end it will be easier to move. In the kitchen and bathroom, it’s important to make sure that your floors and surfaces are spotless. A clean will also make sure that your home doesn’t smell. Your rooms should be decluttered and clear, but you need to make sure that the place doesn’t feel too empty. It’s a fine balance between being blank enough to allow potential buyers to imagine themselves in your property and creating a homely feeling to encourage that imagination. Making sure that all problems are fixed before your home goes on the market, as it can really make buyers think twice about the condition of the property. Things like broken tiles or stained carpets should be sorted out well before anyone comes to have a look at your property. Neutral is the watch word for every home seller. Much like decluttering, a neutral colour will make it much easier for potential buyers to imagine themselves living there. It also means that they will be able to decorate without having to deal with your interior decoration style and choices first. It might be quite an undertaking, but it will be worth it in the end when you sell it. If you’re really getting desperate, one option is to use Quick Move Now. They will buy your house in 7 days, which means that you can get off to the other side of the world, or start to get your finances back to where they needs to be.